Sakthi College of Arts and Science for Women, Dindigul, Tamilnadu advertised in Dinamalar Epaper for Faculty jobs 2019 – Professor Jobs, Associate Professor Jobs, Assistant Professor Jobs . For More Details see below. College Profile: Sakthi College of Arts and Science for Women is a part of the Sakthi Group of Educational Institutions and is located in Sakthi Nagar. Bachelor of Arts (B.A.) in English, Bachelor of Commerce (B.Com.) and B.Com. with C.A., Bachelor of Business Management (BBM), Bachelor of Computer Applications (BCA), Bachelor of Science (B.Sc.) 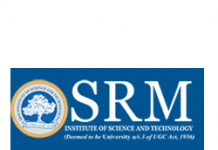 in Computer Science, Bachelor or Science in Maths (B.Sc. with C.A. ), Bachelor of Science (B.Sc.) in Physics and Bachelor of Science (B.Sc.) in Chemistry are the courses offered in this College. H.S.C. pass, with 50% marks in related subjects, is the eligibility criterion.